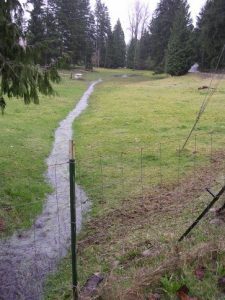 This study had two parts: The first was to conduct a stormwater management study of two streams that outfall into Fennel Creek in the City of Bonney Lake. The streams pass through private property and are constrained at various points by culverts crossing the properties, driveways, etc. The goal of the project was to delineate the streams and their drainage basins that contribute flow; delineate associated wetlands; identify problem areas where flooding occurs; and to develop appropriate solutions for resolving these problems by providing bigger culverts, headwalls, stream bed improvements, ditch and culvert cleaning, etc. Services provided under this phase of the project included a field survey of the two streams; wetland delineation; hydrological analysis; hydraulic analysis; and the preparation of a Stormwater Drainage Report. A second part of the study was to conduct a water-quality study for Bonney Lake. To perform a bathymetric survey of the lake. To analyze existing physical conditions of the lake, and assess the lake’s water quality. To prepare a preliminary assessment report and make restoration recommendations.